The AcuPwr AD-350 CTOC High End Step Down Transformer is specially designed to let you use 110V appliances in 220V countries. They offer risk free operation, and are designed to ensure the safety of your gadgets and appliances in overseas. 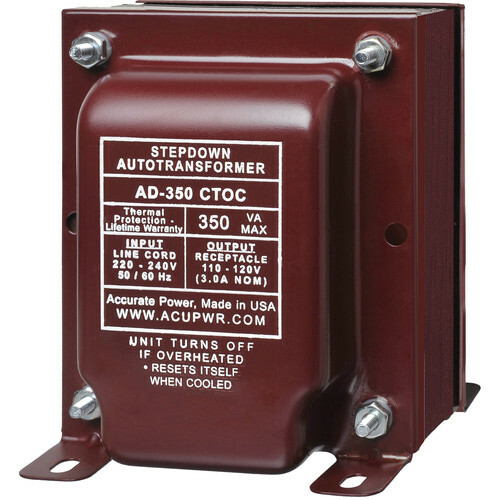 Acupwr transformers offer $10,000 in damage coverage and safe continuous use at 120% of stated wattage and short term use at 200% with auto shutdown overload protection. Box Dimensions (LxWxH) 11.4 x 8.9 x 7.0"